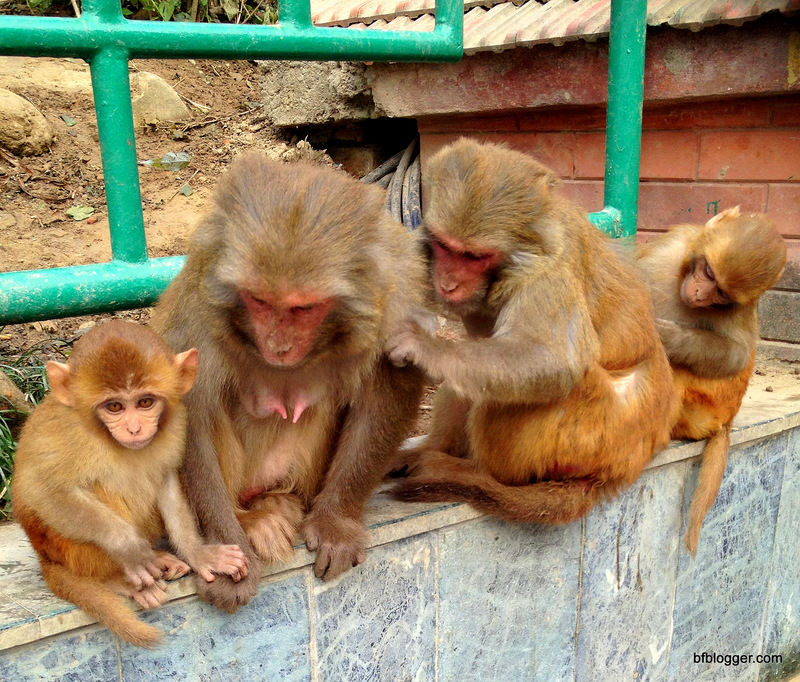 “Something must have happened to the monkeys,” I said to myself when I visited Katmandu in 2014. I had seen very few and most were at the airport. 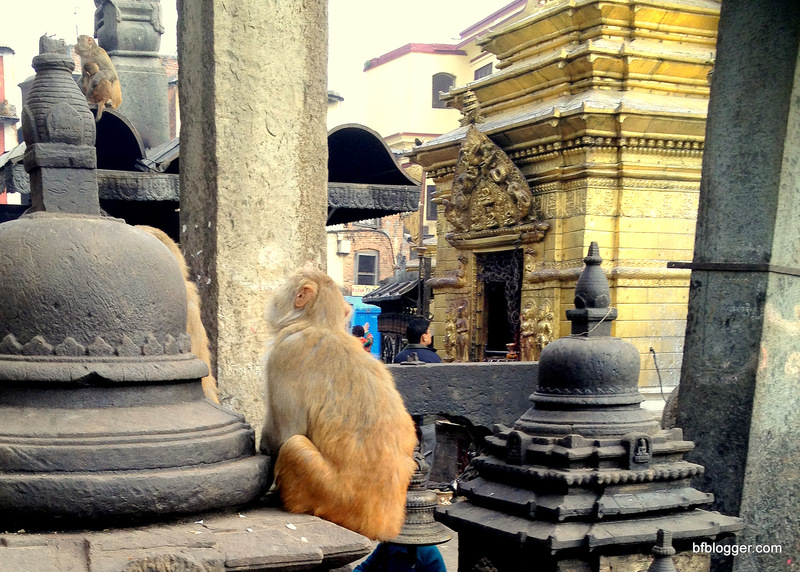 Then I discovered the “monkey temple” in the inner city of Kathmandu. The last day I was in Nepal, the tour group I had joined was scheduled to fly over Mount Everest in a small airplane. We arrived at the airport early in the morning, eager to get on our way. The airplane was loaded to take off when the Captain said it was too foggy for us to see the mountain range. Rather than spoil the day, I set out to find monkeys. Asking around, I was told about the Monkey Temple. It was on the other side of the city from the airport, on a hill. The only way to it was straight through the morning traffic. Grabbing a local cab, I was off. The traffic and road through town were horrific. When I arrived at the Monkey Temple, there was no doubt this was at the right spot. Monkeys were everywhere. 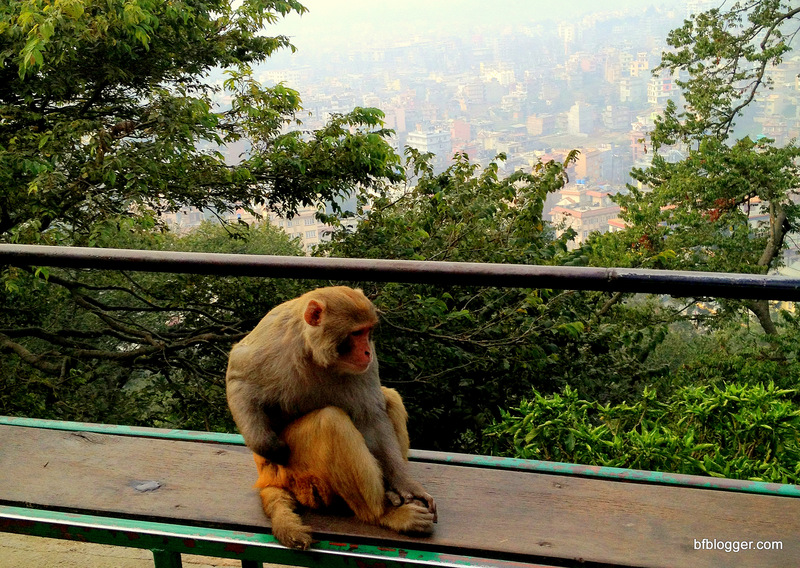 The “Monkey Temple,” or Swayambhunath, is one of the oldest religious sites in Nepal. The centerpiece of the complex is a large stupa. 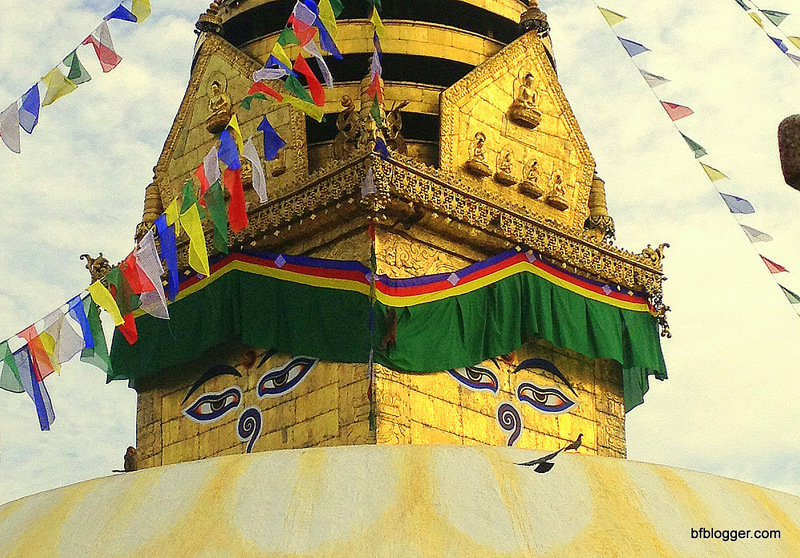 The stupa is surrounded by hundreds of Buddhist and Hindu shrines and temples. 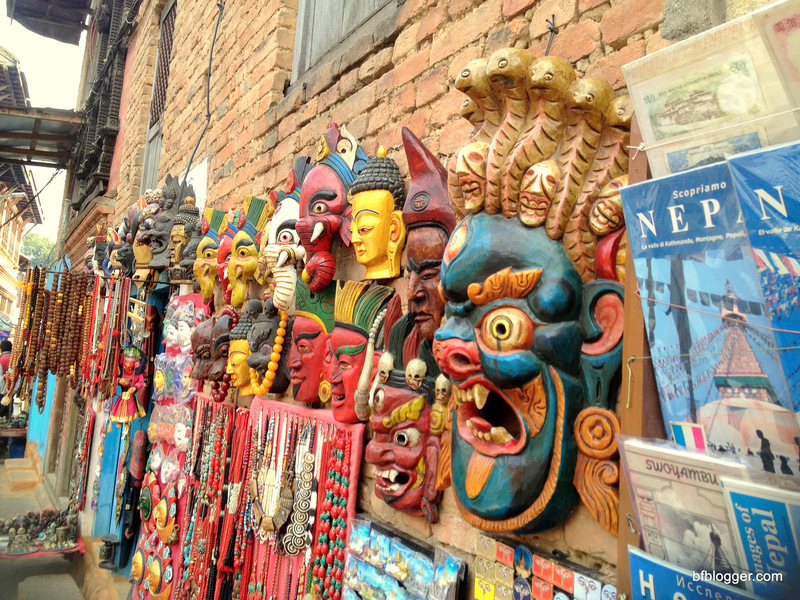 The history of the Swayambhunath has roots in fact and tradition. Some credit its beginning to the fifth century King Vṛsadeva. Others say it was built by Emperor Ashoka in the third century. 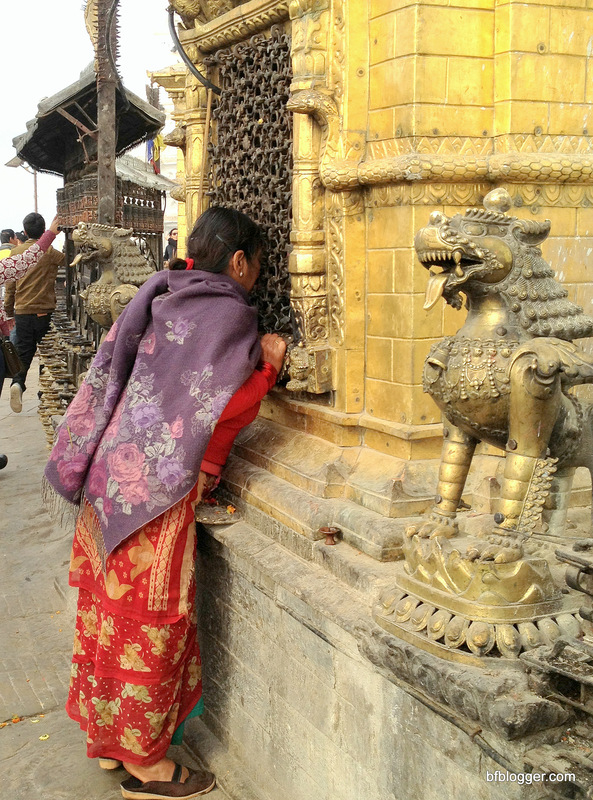 It is the mythology of the Swayambhunath religious complex, however, that Buddhists and Hindus revere. According to legend, an early Buddhist deity (Mañjuśrī) was led to the place that is now Swayambhunath to find a holy lotus flower he had seen in a vision. Reaching the site, he saw it was covered by a huge lake. He envisioned the area as an ideal settlement for humans — a valley with a stupa sitting on a hill high above it — just like a lotus flower atop its stem. Mañjuśrī cut a gorge to drain the lake which now is the valley where Kathmandu lies. Monkeys come into the story because Mañjuśrī was supposedly a young man with short hair when he began building the hill and stupa. When his work was done, his hair was very long and filled with lice. Monkeys symbolize the head lice that jumped out of his hair. Buddhist and Hindu pilgrims flock to the holy place. 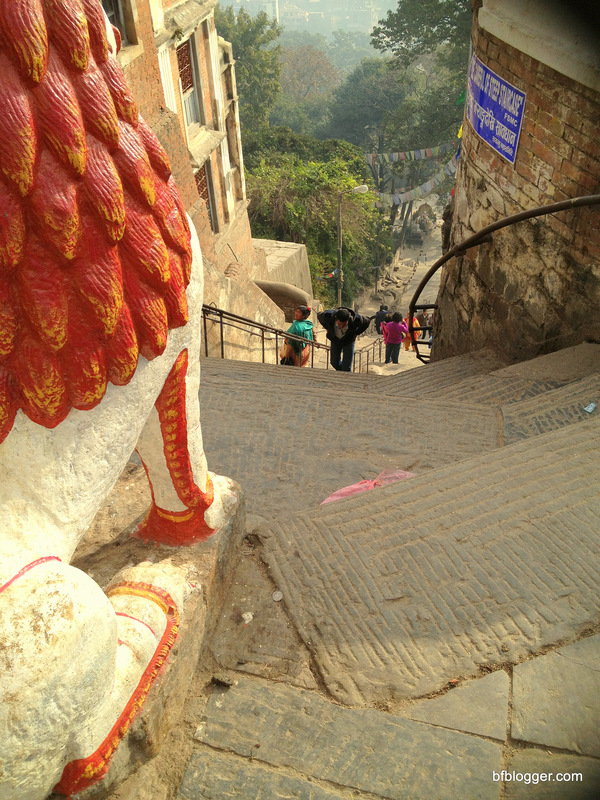 They climb 365 steps to reach the top of the hill. For me, it was not about stores and shopping this time. It was all about the monkeys. Time for Fete Votive Uzes. Which Year Was Best? You Decide.